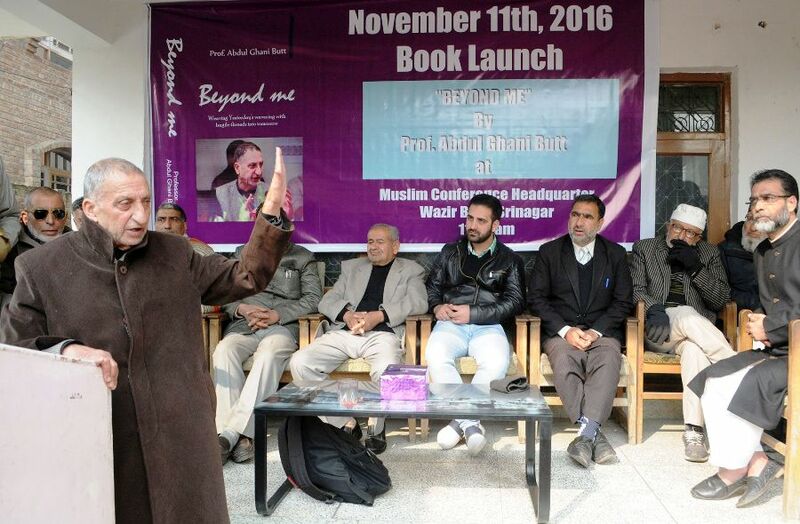 Hurriyat Conference (m) leader and chairperson of his Muslim Conference faction, Prof Abdul Gani Bhat on Friday released his autobiography Beyond Me. The erstwhile Persian professor termed the book as his ‘confessions’ at his party office in Wazir Bagh in Srinagar. The launch was attended by large number of his party workers and people from different walks. 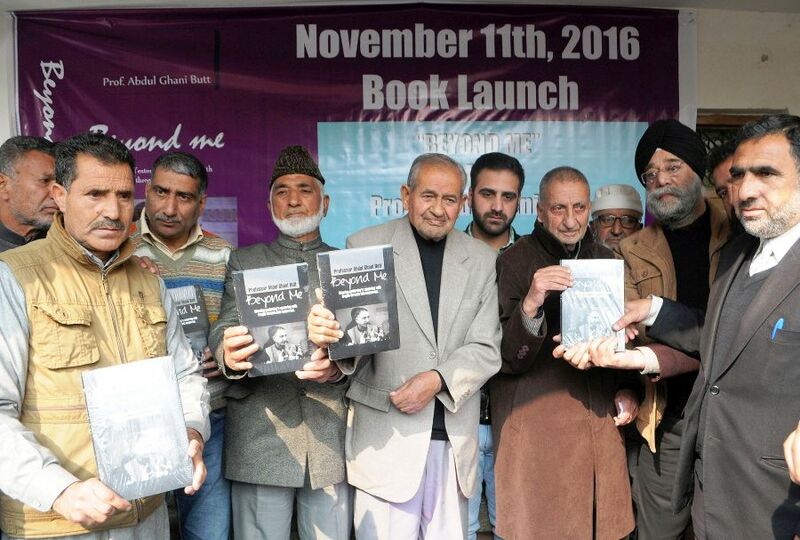 Bhat dedicated most of his speech to Kashmir conflict than any other subjects in his book. The book was launched by his former colleague and former principal Muzzafar Ahmad War and his other associates. The book has been published by Gulshan Publications Srinagar. Referring to Kashmir conflict as the “dispute of souls”, he said, it cannot be solved by “filling the pockets”. After 70 years, Bhat said, Kashmiris are yet to forget “when the collective soul of Kashmir was deeply wounded. India needs to understand”. Bhat was referring to the “accession of Kashmir with India”. Urging India and Pakistan to solve Kashmir, he said, the two neighbours would have to address “our wounded soul” but both “feed our stomach”. “Both countries are yet to reach secret chambers of our hearts,” he stressed. The stalled talks need to be resumed and for this, the concerned people have to build pressure, he stressed, and this message of togetherness will flow from Kashmir. For successful dialogue, Bhat added, both countries need to evolve a “mechanism”, and involve a friendly country “that would play a role — so that, disputes are solved to the flutter of all hearts”. Interestingly, Bhat—the ex-Hurriyat Conference chairperson—released his autobiography at a function where top Hurriyat leadership was missing. congrats dear professor for your book.